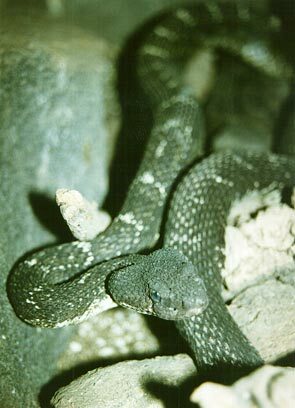 The Arizona Black Rattlesnake is another of the nine subspecies of the Western Rattlesnake. Others in this group of closely related rattlesnakes include the Prairie Rattlesnake, the Southern Pacific Rattlesnake, the Northern Pacific Rattlesnake, the Great Basin Rattlesnake, the Midget-Faded Rattlesnake, the Grand Canyon Rattlesnake, the Hopi Rattlesnake, and the Coronado Island Rattlesnake. All are residents of the U.S. except for the last. The Arizona Black Rattlesnake is easily the darkest of the group but after close examination you see that they all have similar body shapes and features. Compare this to the Prairie Rattlesnake. This particular subspecies is found from central Arizona to western New Mexico.